Our flight from Toronto took around 5 hours. The weather in February ranges from -10 to +2 degrees Celsius. It was always sunny and not very windy... until the last day. A practically treeless island in the middle of the Atlantic surrounded by arctic waters can get a bit chilly when the wind blows. 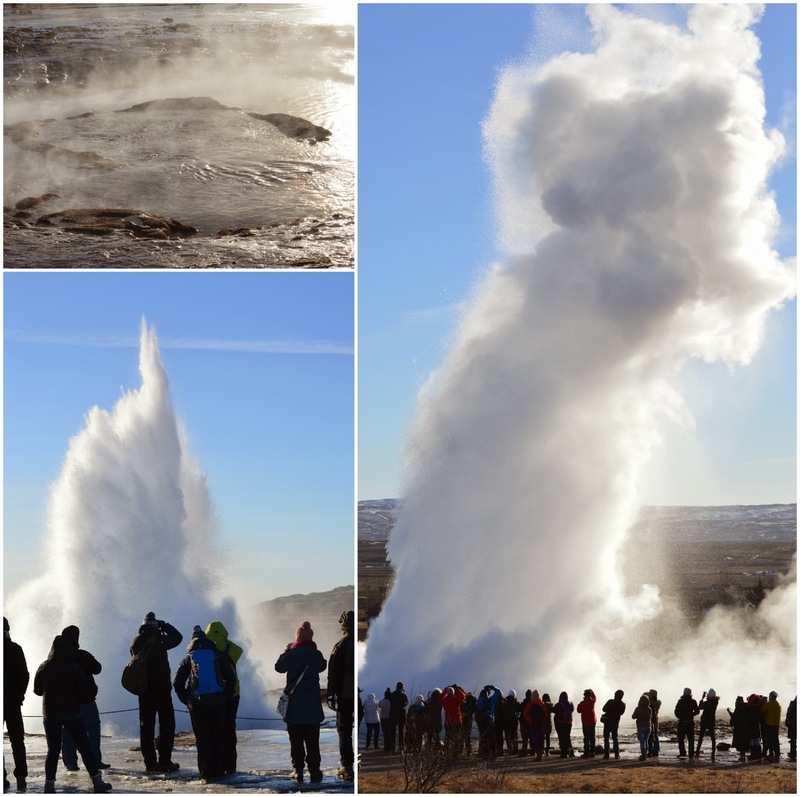 During our first day of tours, we stopped off to witness one of the coolest natural phenomena: the Strokkur Geysir. This hot spring shoots boiling water into the air every 5 minutes. 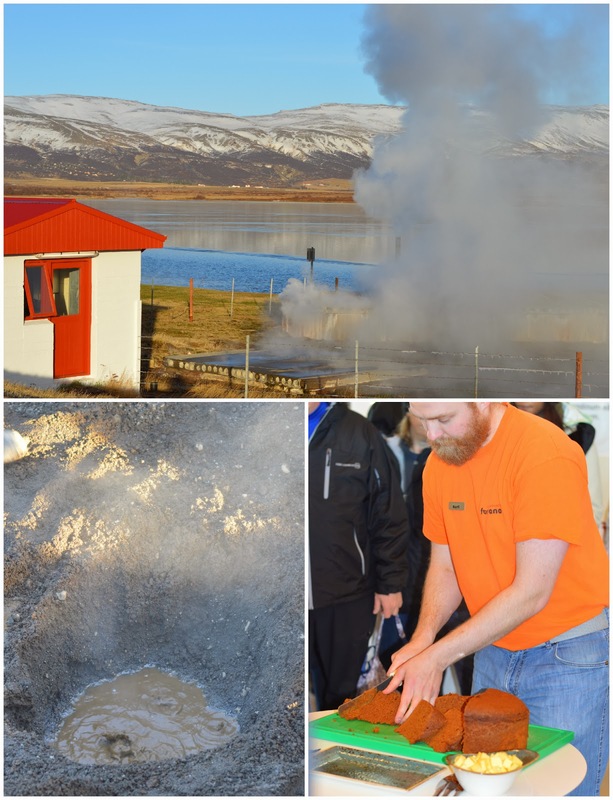 Next we visited the Laugarvatn Fontana geothermal pools, which were very warm and relaxing... once you got in. It's not the most fun having to run around in -5 degrees wearing only a bathing suit. But anyways, the healthy water at this spa is supposed to "nourish both body and soul". Be warned, these geothermal pools smell strongly of sulphur, which is not the most appealing of scents. We also got to taste their traditional homemade Icelandic rye bread. I really enjoyed its sweet flavour and soft texture. This bread is cooked in a hole in the ground, using the hot water and steam bubbling up near the surface. Talk about living off the land! Icelanders are very proud of their horses. They are quite short with pretty crazy hairdo's. They apparently have this unique "gait" which is a type of run in which the rider stays completely steady. "You could hold a glass of beer and none would spill out!" says our tour guide. We unfortunately did not go horseback riding on the trip. The Eyjafjallajökull volcano was the cause of the famous 2010 eruption, forcing thousands of flights to be cancelled due to the enormous ash clouds in the air. This particular eruption was very large, but the locals always expect there to be volcanic activity and can deal with it accordingly. The farm in front was promptly cleaned up after the eruption and looks better than ever. 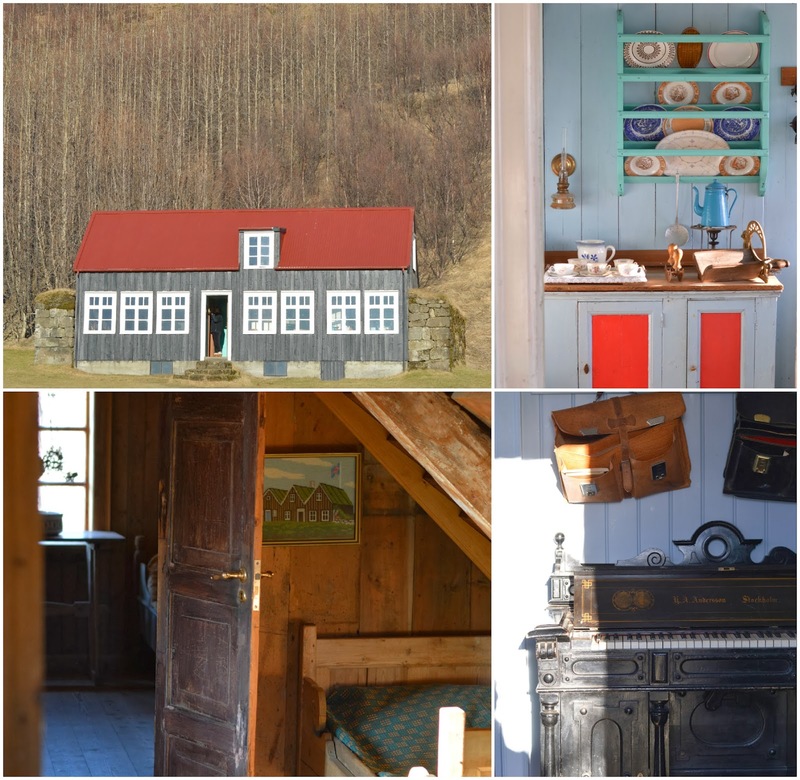 The Árbær Open-Air Museum is a collection of restored buildings, providing examples of the architecture and way of life in Reykjavik many years ago. I loved seeing the shabby chic decor, mixed with their love of music and colour. 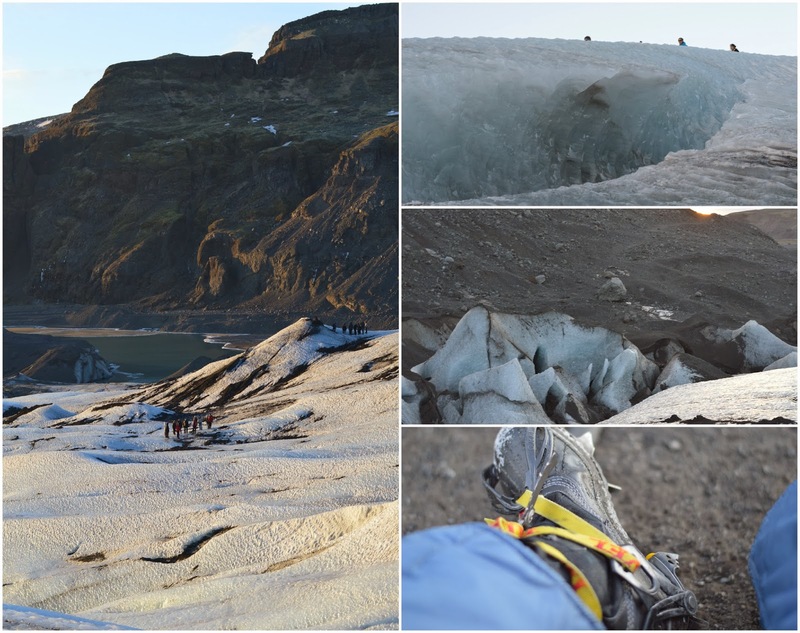 For our hike up the Sólheimajökull glacier, we were blessed with the most amazing weather ever. This was such a unique and picturesque experience. We also had wonderful, educational guides to take us along the icy paths. Following our hike, the entire group went for dinner at Anna's Restaurant where we were served authentic Icelandic meat soup. This dish is made with lamb meat and local vegetables. It was so good. 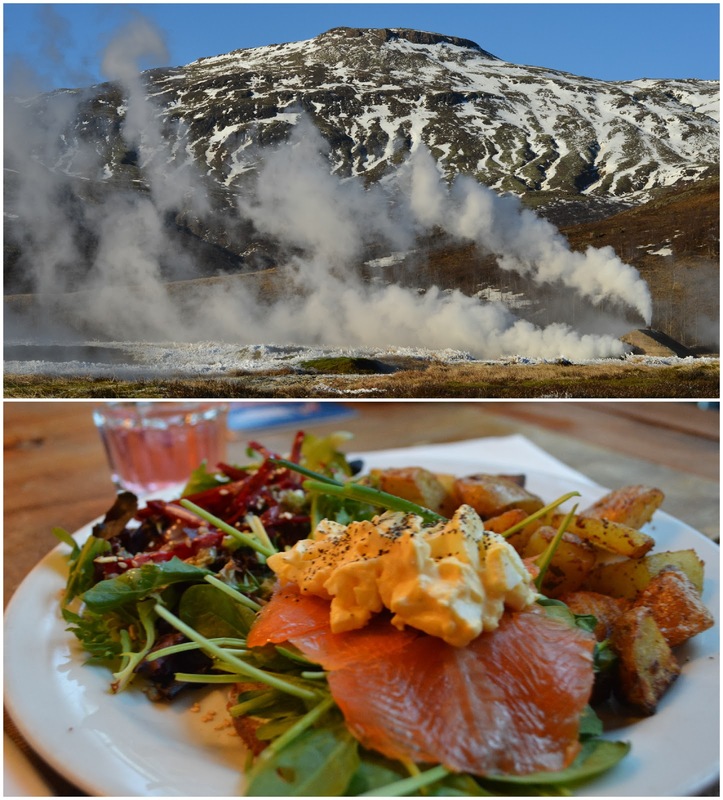 It was also very well planned out because I'm sure anything would taste great right after a hike up a glacier! They also provided a meatless option for the vegetarians/non-lamb-lovers. After dinner, we started hunting for Northern Lights. The predictions were showing little to no visible lights, but we commenced the night time drive regardless. The light show runs on its own schedule and can only be seen when the sky is clear. After hunting for a few hours, we finally got to see some moderately vibrant Northern Lights dancing around the sky. 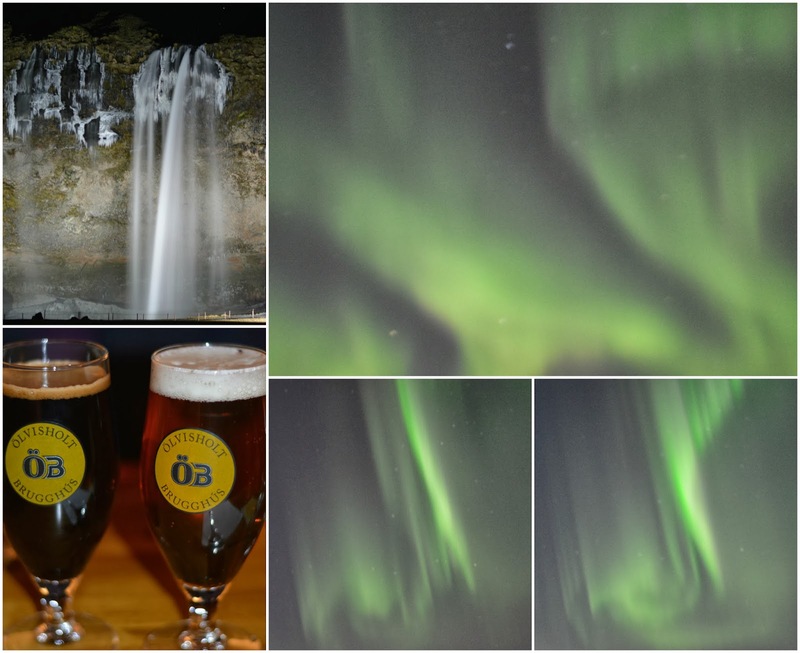 Here are some rather shaky images I captured- sans tripod, unfortunately. 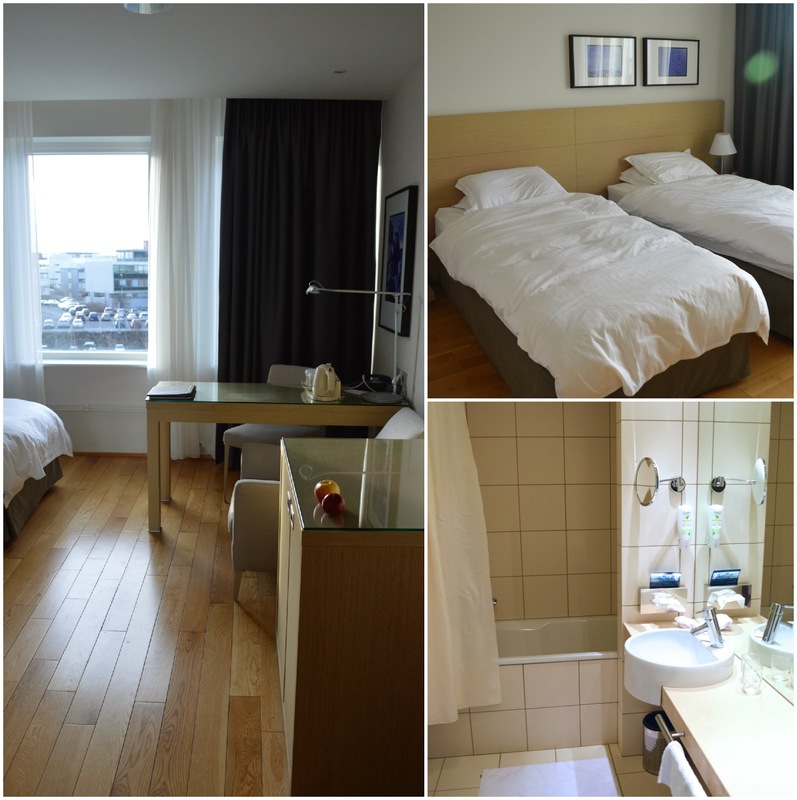 - Icelanders are so self sufficient. Nearly all of their food is locally grown and produced. Even in the winter, they grow vegetables in local greenhouses hearted by the abundant geothermal energy. - There is wifi everywhere! Bring a phone or tablet for quick instagram-ing and emails. - Iceland has a very famous music festival called Iceland Airwaves which happens every year in July. - They have lots of sheep, lots of wool, and lots of lamb on menus. Lamb-lovers, take note. - There is lots of black liquorice. It is incorporated into ice cream, chocolate, you name it. -Ever wanted to try whale jerky? They have it in Iceland. - Local shops along the downtown streets have beautiful souvenirs and very cool Icelandic clothing. You will have to pay for quality, but it is worth it. 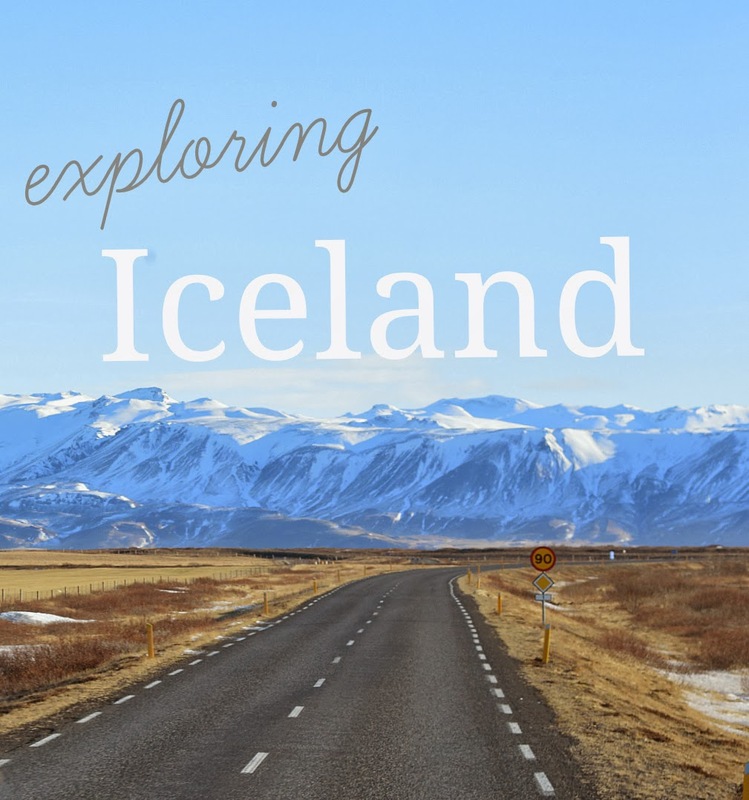 - Handmade knit wool sweaters and extremely soft fur hats/headbands/scarves are definitely some of the most popular Icelandic items to bring home. - If you are interested in purchasing cosmetics, I'd recommend doing so at the grocery stores as opposed to the pharmacies. Grocery stores have the same (low end) products but for much cheaper. You won't find deals for high end makeup, cosmetics or clothing from popular american or European brands. - The malls carry many european brands, one of them being Tiger, which is a Danish nicknack store. Imagine if Ikea and Dollarama had a baby. Welcome, Tiger. It's literally the best place on earth, IMO. -Layers. Lightweight thermal wear is the best for the Icelandic winter. I have some amazing leggings from MEC which worked great. -Snow pants and a down filled jacket with a hood are very helpful when it is windy and you are on a tree-less glacier, for example. -Good quality boots- my Sorel's did the trick. they don't need to be very tall, just warm and sturdy. - Bring warm gloves for glacier walks. If you are taking pictures, mittens will make life very difficult. - Balaclavas are helpful, especially if it's windy. - If you visit in the warmer months when your skin will be more exposed, don't forget sunscreen. During long excursions at pretty high altitudes, the sun can be very strong even if it doesn't feel like it. - Finally, sunglasses! Ever looked at snow/ice in bright sunshine? It's very. very. bright. 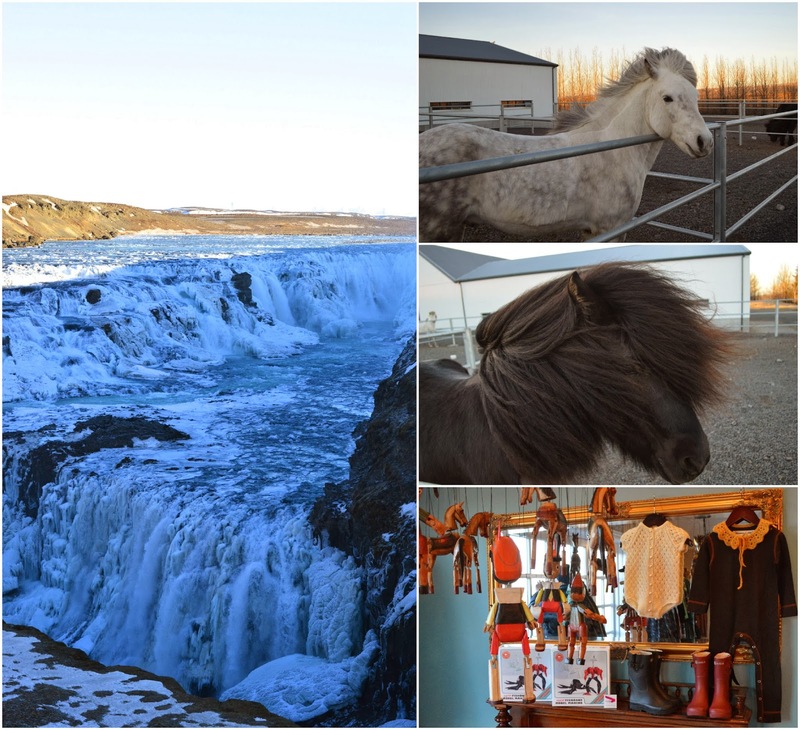 If I were to go back, I'd love to try their snowmobiling, horseback riding and the Blue Lagoon geothermal spa. 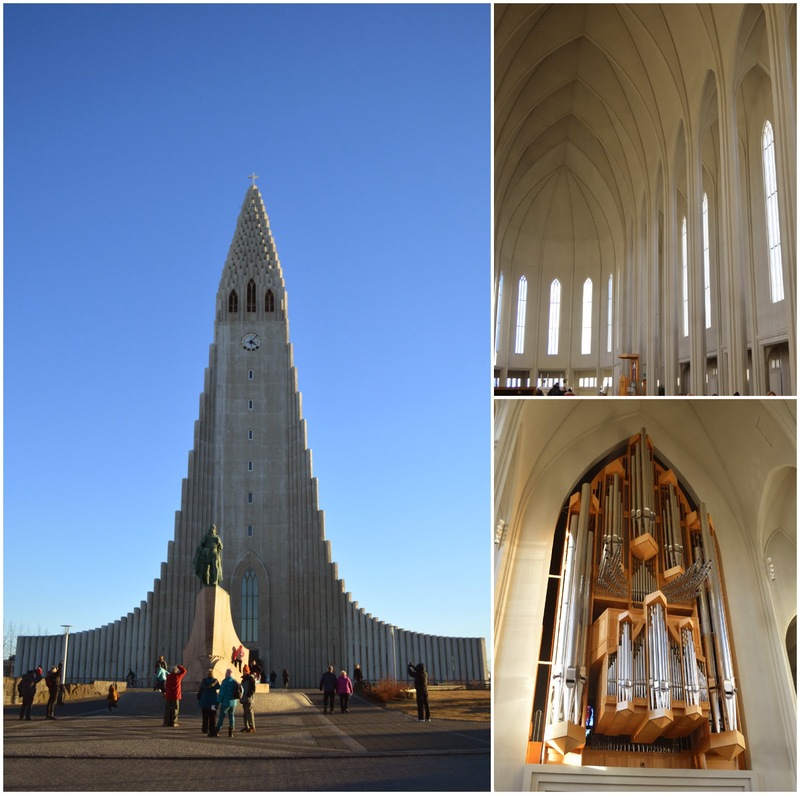 I hope this post has encouraged you to visit the beautiful country of Iceland. I can't wait to go back. Thank you for sharing! This has encouraged me to remember to book a trip to Iceland soon, a place I have always been very interested to go to. I'd love to see the Northern Lights in person.